A person’s enjoyment of his vacation depends largely on whether or not he likes his hotel. Even people who plan on spending their days trekking around the city or going to tourist destinations inevitably spend most of their time in or around their hotels. The character of a hotel colors a person’s memories of the entire trip; it either becomes one of the beautiful destinations scattered across his mental scrapbook, or it is regarded as the reason why the vacation was a waste of time and money. Some people like to stay in hotels that immerse them in the city’s local culture. It is very easy to find hotels like this in big cities like New York and Los Angeles. In those cities, one is likely to find himself in the middle of metropolitan foot traffic immediately after stepping out of the hotel’s front door. However, other popular vacation destinations tend to have a noticeable divide between the tourist areas and the places where locals converge. This is a great setup for people who like to spend their vacations in bubbles away from the real world, but for people who enjoy getting the full experience of being in a new place, these hotel arrangements pose major challenges. Chains like Bluegreen Resorts go to great lengths to ensure that each hotel reflects its location. 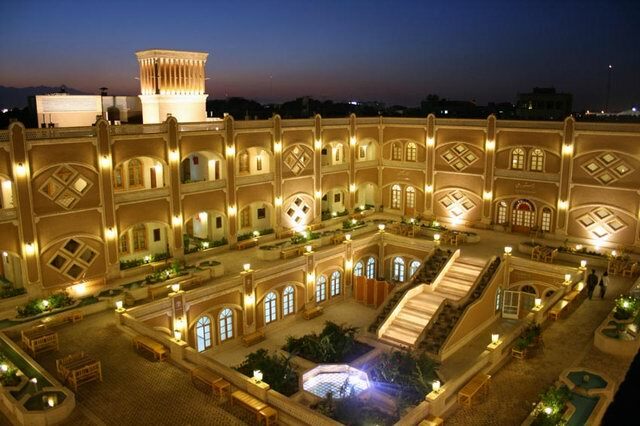 Every hotel has a completely unique architectural design, and the food offerings are adjusted to mimic local delicacies. Hotels like this are great options if one is staying in a city that poses some safety concerns; the intent behind these types of hotels is to allow travelers to enjoy the weather and culture within a controlled and safe environment. Another way to erase the separation between tourists and locals is to actually stay with locals. Websites like Airbnb allow residents of any city to make their spare bedrooms available to anyone who is traveling on a budget. For less than the cost of staying in a locally-run hotel or even a bed and breakfast, a traveler can rent a room in a house in the middle of a vibrant city. He will have the benefit of being able to ask his hosts for the sort of personal food and entertainment recommendations that are difficult to get from typical hotel staff. These types of arrangements are very popular among festival-goers, who have trouble finding affordable hotels near concert sites. Many people gain lifelong friends after sharing communal living spaces with them during these events. It is a way of getting the most out of the social aspect of a festival as much as it is about saving money. Traveling is one of the best ways that a person can enrich himself. For people who view vacations as opportunities to go someplace new, as opposed to simply getting away from their home lives, treating accommodations like integral parts of the trip pays off in money saved and memories made. Moving to Spain comes with a lot more baggage than just what you bring onto the plane. In fact, anyone who decides to relocate to another country needs as much advice and information as they can get before pursuing the move. With such a large number of people from the UK looking to fulfil their dream of living the sunny Mediterranean lifestyle, it’s incredibly useful to take a few introductory tips onboard to help your new journey get off to a positive start. So what do you need to do before moving to Spain to make the whole thing run smoothly? Here are 10 top tips for you to follow that will help you settle into the Spanish way of life in no time. Research is one of the most important aspects of any planning and preparation routine. You can never do enough research, so wherever you are in the world be sure to occupy yourself with all sorts of Spanish introductory booklets, documents and articles that provide you with information about the country, from property prices and tourist destinations to local restaurants and leisure centres. Speak to people who have experienced the move before as this gives you an insight into what it’s like to relocate. A good place to also look is on social media sites as Facebook and Twitter can be the perfect places to find actual current residents in a certain place who you can connect with for any questions prior to your move. Upon moving to Spain, take some time out to relax and think things over for a while. Try and acclimatise to the new weather conditions and speak to some of the locals, introducing yourself as a new resident where possible. Again, you will probably find that local Facebook groups and events are more regularly updated than many Spanish websites and will provide a good source of current info. If you’ve come from somewhere like London where things seem to move at a hundred miles an hour, remember that the Spanish lifestyle may be a lot slower than you’re used to. Siesta’s are commonplace in Spain and provide residents with the opportunity to spend time with family and friends during the day. It’s nothing to do with laziness as the working hours continue into the night to accommodate for lost time. When moving to another country, integrating into the local community can be tough. Not only is it a particularly difficult obstacle to overcome for the less confident individual, it can be a tough job for someone who doesn’t speak the language fluently. Thankfully, the Spanish are known for their warm-hearted gestures and welcoming attitude towards new residents, so making new friends and bonding with community is something that comes naturally to many of the locals. The local bar would be a recommended starting place to get to know the locals as in smaller towns and villages you will probably continue to find the same people visiting the same establishments week in week out. When you start searching for a property in Spain you will likely find that agents will be trying to get in touch with you 24 hours a day. Spain has its issues when it comes to property development and it’s always advised that you get the additional assistance from independent legal advice. You can easily get in touch with English speaking lawyers that will assist you when purchasing a new property. Let’s face it, there are always things we don’t like about our local area and this is likely to be the case for you when you move to Spain. For example, many people like to escape the hustle and bustle of cities by moving to coastal towns and beachside resorts, which at certain times can get noticeable busier. Anything off-putting like this should be considered before you decide to move if you feel it may become too much of an issue. However, you can deal with the cons of living where you are by staying in touch with family and friends back home or speaking about them with some of the locals. It’s quite easy to forget all about your passport and getting it renewed, so make sure it doesn’t expire and keep a note of the date that it will. You may well have to pay for an emergency document to travel if your passport has expired and on most occasions it can take a while for a renewed passport to arrive, so make sure you always have your passport renewed well in advance of any travelling you plan on doing. In order to be entitled state healthcare in Spain, you need to make your national contribution to the social security system. Unlike in the UK where the NHS is a residence-based system, you must be paying your equivalent of national insurance contributions to be registered for healthcare. This is often a convoluted process in Spain so the sooner you get the ball rolling the better it will be for you. This is an obligatory procedure whereby you register at the Town Hall so that the local area is aware of how many people live there. There are plenty of British people living in Spain who haven’t done this yet but it can prove to be extremely beneficial to the local community if you do so as services and facilities in a town are often built in line with the registered residents. It’s not rare to find large communities and residential areas without so much as a pharmacy as few residents have registered at the town hall. When the local town centre learns of your inhabitancy in the area, they can provide the required level of community services. There are other benefits this can bring, such as voting rights and discounts. This isn’t a compulsory tip but if you do plan on living in Spain for the foreseeable future you should always try your hardest to settle and learn the language as quickly as possible. There are many reasons why this is important, with added benefits apart from being able to order the right dish at a restaurant. With many regional dialects and accents you may find it best to find some locals willing to benefit from an exchange of language teaching. Spain is quite bureaucratic and you’ll probably find there are plenty of forms to fill in and documents to sign. If you don’t understand what it is you’re signing for, it could cost you in future. You can get assistance with the language by speaking with locals often, acquiring the help of a teacher or simply reading often. Settling in takes time, so don’t get down-heartened if you’re feeling homesick or struggling to cope with what is a major change in your life. Instead, focus on the things you’d always hoped to do in Spain and perhaps think about travelling around the country for a while. By travelling, your new Spanish property will naturally turn into a base of sorts from which you can build a new way of life. Mike James used to live on the Costa del Sol and is very familiar with the pros and cons of moving to Spain, running a business there and all of the various differences to consider when contemplating a move. With a background in the property market, Mike often writes about his experiences for Panorama Properties, a Marbella based real estate agent. Tread in the footsteps of the pilgrims and join in with the modern day truth seekers who still walk the Camino de Santiago in Spain. This age old pilgrims trail is a test of inner strength that you will not forget in a hurry and can be a great way to spend time with family and friends or discover more about yourself. Also known as the Way of St. James I originally came across the Camino de Santiago via a book left behind by visiting friends. At first I just thought the book was a funny story but the tales were all true – “Spanish Steps: Travels with my Donkey” written by Tim Moore is a hilarious recount of his own personal pilgrimage along the Camino de Santiago. The Camino De Santiago or Way of St. James as it is also known, was one of most important medieval Christian pilgrimages in Europe and still holds it’s attraction for many modern day pilgrims today. Over the last few years pilgrims have continued to flock to the Camino de Santiago, the difference being is that many now do not follow the trail for religious reasons only. The modern day pilgrims are often on a journey of self expression or simply looking to enjoy an adventure that has meaning and depth. Walking in the footsteps of thousands of pilgrims can be a cathartic and gratifying experience, something to be cherished forever. Along the route you will find many pilgrim hostels, each run by volunteers and there to ensure minimal comfort for anyone with a pilgrim passport. You can get your own pilgrim passport at St Jean Pied de Port, Pamplona and Roncesvalles, all common places where l will begin their journey from. The hostels are usually called refugios or albergues and offer a 1 night stay where you can find a warm shower and place to sleep. Near to most of the hostels you will find local restaurants offering pilgrim meals for as little as 7 euro per person, although the albergue at Granon and a few others do serve communal meals for a donation from visitors plus help with washing the dishes afterwards. During your walk you will find people from all walks of life, each with their own reason or story behind what drew them the the Camino de Santiago – the one constant thing seems to be a respect for others and calm perspective on life. Some pilgrims have made life long friends during their time spent walking, cycling or following the Way of St. James, others have found their own spiritual nirvana or enlightenment. Advice from those who have already walked the Camino is to have a fairly good level of fitness before you start and set yourself enough time to appreciate the beautiful sights, villages and churches found along the route. Also don’t be too late to reach a refugio as some do have a closing time and will lock the doors after 10pm leaving you outside and without a bed for the night.